Įvertino Apartments Villa Venera viešėję svečiai. Perfect stay for those who visit rabac and the surroundings. Amazing place, super staff! The staff was extraordinary friendly and very helpful (we had to go to the ambulance once and they offered to accompany us). They also offered to book tours for us. Whenever we needed something everyone was happy to help. Unexpectedly nice accommodation. Calm location, perfect service, big swimming pool. The garden and BBQ place in it is a perfect place for a dinner. Siamo stati soddisfatissimi di tutto dall'accoglienza alla struttura con moltissimi servizi a disposizione (palestra,sauna piscina pulitissima e sdraio a disposizione,wifi gratuito per appartamento ,un bellissimo parco interno dove sono presenti anche giochi per bambini,parcheggio riservato) e disponibilità da parte della proprietaria Lana molto simpatica gentile che ti spiega tutto nei minimi dettagli e ti da inoltre informazioni aggiuntivi dei dintorni dove mangiare cosa andare a vedere e per qualsiasi altra informazione di cui avessimo bisogno. Tout. Résidence top avec parc, barbecue, salle de sport. Belle piscine. Logement très bien équipé. Très bon accueil. Alt andet! Personalet, og især værtinden Lana. Altid rare, imødekommende og hjælpsomme. Faciliteterne, poolen og parken. Beliggenheden! Virkelig et lækkert sted! Zeer vriendelijk ontvangst en uitgebreide rondleiding. Alles is aanwezig voor een onbezorgd verblijf, zwembad, fitness en grote tuin. We waren van plan om diverse malen naar Rabac te gaan om te zwemmen maar daar zit alles op elkaar gestapeld te zonnen, we hebben besloten om lekker aan het mooie zwembad blijven zitten. Voordeel gratis stoelen, koffie en drankjes dichtbij. Avonds in goede restaurants in Labin gaan eten voor een nette prijs en prettige bediening. Mooi appartement en prachtig uitzicht! De gastvrouw is super behulpzaam en vriendelijk! Vienas iš populiariausių variantų mieste Labinas.Located in a private park with an expansive forest area, Apartments Villa Venera offers an outdoor pool and free WiFi. It is 2 km from Labin town centre and Rabac Beach. Guests enjoy free use of Venera’s gym, sauna and hot tub. 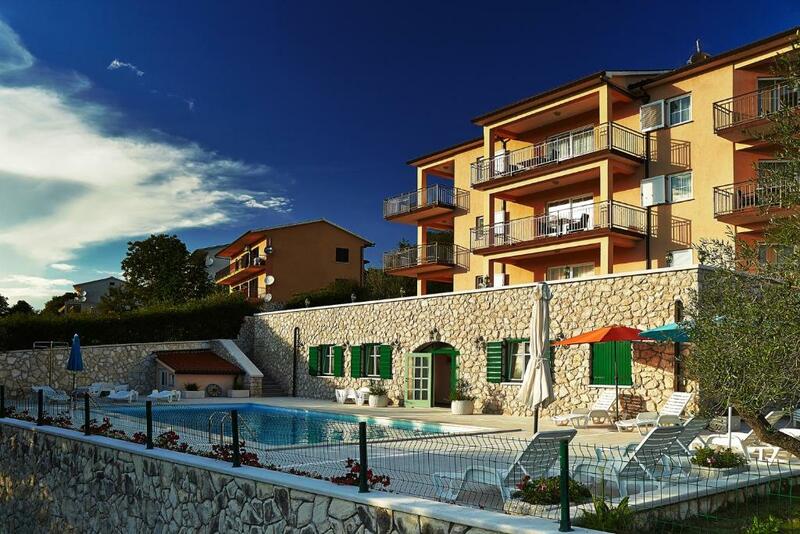 Each apartment at Villa Venera is air-conditioned and features a private balcony overlooking the Adriatic. A fully equipped kitchen, as well as satellite TV and a bathroom with toiletries is available in each unit. Washing and drying machines are also provided at a surcharge. Guests can sunbathe on Venera’s poolside terrace, while younger guests enjoy the playground with swings. 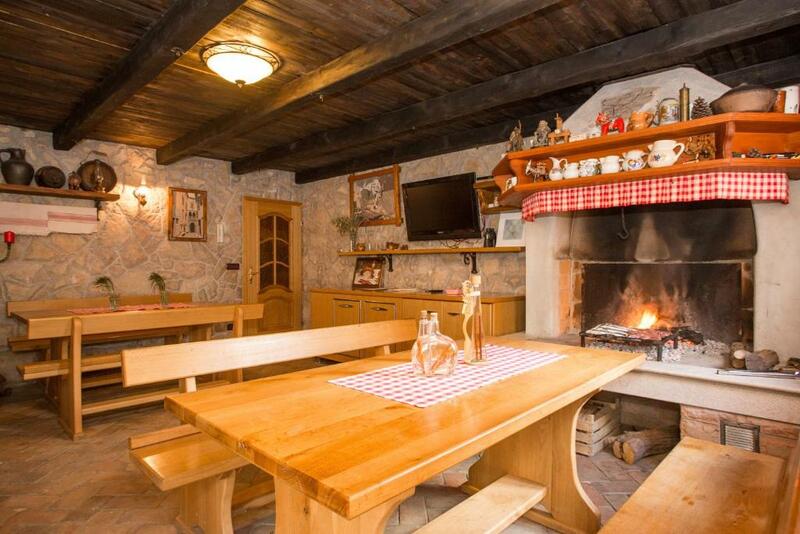 Further relaxation is offered by the typical Istrian tavern with an open fire place. Free-to-use BBQ facilities are available for guests. A number of activities can be enjoyed on site, including fusball, badminton, archery, volleyball and basketball, as well as various massages, bioenergetic treatments and workshops. Boat excursions and jet ski rental can be arranged with the proprietor. 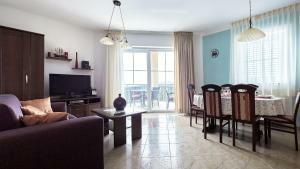 Free private parking is provided at the Apartments Villa Venera. Ši apgyvendinimo įstaiga pripažinta esanti vienoje geriausiai vertinamų vietovių mieste Labinas! Svečiai čia jaučiasi laimingesni nei kitose kaimynystėje esančiose apgyvendinimo įstaigose. Ši apgyvendinimo įstaiga pripažinta turinti geriausią vertę mieste Labinas! Čia viešintys svečiai gauna daugiau už tai, ką moka, palyginti su kitomis apgyvendinimo įstaigomis šioje vietovėje. Apartments Villa Venera Booking.com svečius priima nuo 2011 m. bir 20 d.
Kada norėtumėte apsistoti „Apartments Villa Venera“? This air-conditioned studio features a balcony, satellite TV and a kitchenette. Šiuose apartamentuose yra oro kondicionierius, balkonas, palydovinius kanalus rodantis televizorius ir virtuvė. 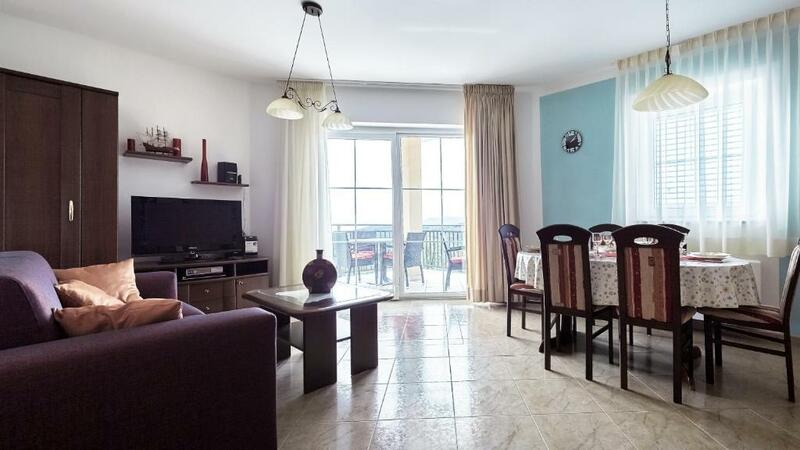 Air-conditioned apartment with balcony, satellite TV, kitchenette, dining area, 2 balconies and a private bathroom with a hydro-massage shower. It is set on the 2nd floor and offers sea views. We are here in order to provide you with a holistic vacation for body and soul, help you to completely unite with nature and let its energy relax and regenerate you. We offer various activities and services in order to make it happen. We want to help our visitors to connect with nature, to feel like a part of it, recognize ones’ reflection in it. 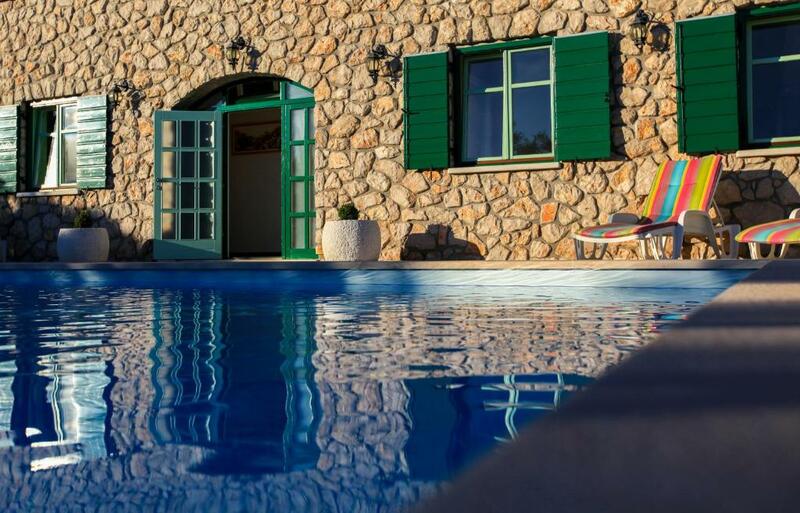 Programs, activities and therapies in our Istria Holona Center grant you practical knowledge and methods for maintaining mental and physical balance, relaxation, coping with stress and increased mental abilities. Heritage offers us rich experiences of our ancestors. 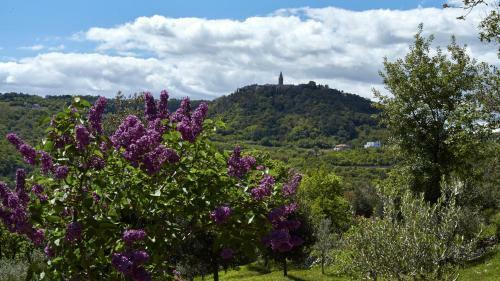 Istria, Croatian region with a specific geographical position hides within memories of Illyrians, ancient Rome, the Slavs and the Venetian Republic. Napoleon and the Habsburgs ruled here. Labin briefly even had their own republic. Different cultures have, from the Paleolithic, left their traces, knowledge and beauty on our country. When we turn to the land as to a living being, it tells us its story and share its wisdom acquired thru centuries. Explore surroundings of Labin and the rest of the Istrian peninsula and enjoy the richness of the culture, stories and legends. Vidaus taisyklės Apartments Villa Venera priima ypatingus pageidavimus! Nurodykite juos kitame užsakymo etape. Nemokamai! Visi jaunesni kaip 4 metų amžiaus vaikai gali būti apgyvendinti nemokamai, jei naudojamos tik paprastai kambaryje esančios lovos. Apartments Villa Venera priima šias mokėjimo korteles ir turi teisę iki jūsų atvykimo laikinai įšaldyti tam tikrą sumą jūsų mokėjimo kortelėje. Prašome „Apartments Villa Venera“ iš anksto pranešti numatomą atvykimo laiką. Informaciją įrašykite pageidavimų laukelyje užsakymo metu arba tiesiogiai susisiekite su apgyvendinimo įstaiga – kontaktai nurodyti užsakymo patvirtinime.